Fathead is offering a Buy 1 Get 1 50% off. Plus you can get FREE shipping when you spend $70 or more. 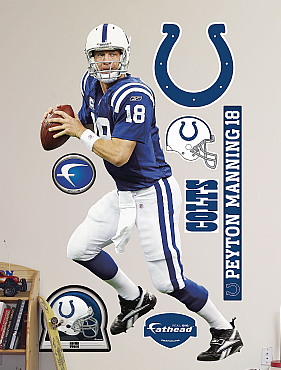 When I received this deal in my email I knew all about Fathead as being these life size wall graphics for sports. While I was clicking around the site I found out that they also have Fathead graphics for Disney, Star Wars, Nickelodean & Superhero characters. And the coolest thing of all is that you can use your own photos of your kids to produce into a Fathead graphic. Isn’t that so cool?!?! If you are interested in checking out this deal over at Fathead then click on over here. Use code: HOLIDAY at checkout to get the deal. Deal is over 12/9/09.